We have babies on our minds at Tracy Lynn Studio — maybe because our in-house architect Jenny Duck is due to give birth soon! So let’s chat a few minutes about good nursery design. Whether you are growing your family or you are providing a nursery in your home for visiting grandchildren, nieces or nephews, it’s important to consider function as much as style for this multi-use space. Bringing home a tiny baby can be stressful enough so you want to know you’ve created a sanctuary for that precious little one. A padded chair with ottoman will be your best friend during those 3 a.m. feedings! • Keep it simple. It can be tempting when you visit a baby store to pick up every darling item you see. 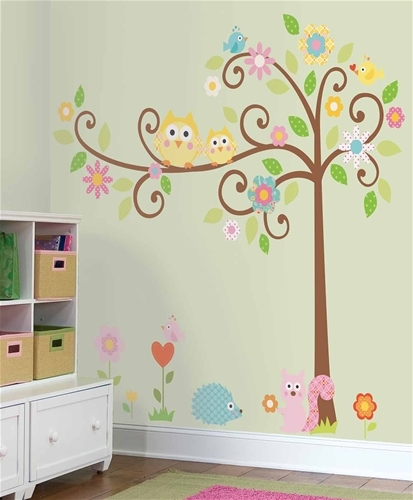 Instead, choose just a few key pieces so the nursery will remain calm and not chaotic. For example, a mobile over the crib is fun for the baby, but too many noisy, moving knick-knacks turn the room into a circus rather than a safe haven that brings comforting sleep. You’ll also want less clutter so you have spots for supplies within arm’s reach. • Find the most comfortable chair you can. You will be spending a lot of time there holding and feeding your baby, so even though that modern orange plastic chair might look really cool, you will appreciate a soft, cushy rocker at 2 a.m. And maybe a small TV. 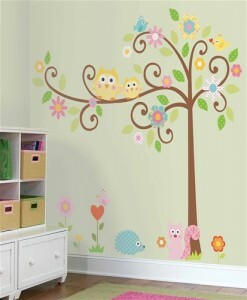 We often include a painted mural in our nursery designs to provide that colorful, whimsical touch. • Consider two chairs if the room allows. That might sound obvious but it’s often overlooked. You won’t always be alone in the nursery, and it’s nice to have a place for a visitor to sit as well. • Install a blackout shade to reduce light and encourage sleep. This special layer can be added to most any shade. Also, have your electrician install a rheostat on the light switch so you can control the overhead light if you have one, and top your lamps with 3-way bulbs for flexibility. • Function doesn’t have to rule over style, though! We love the sweet choices at Pottery Barn Kids and Crate & Barrel’s Land of Nod, and Restoration Hardware has a new really cute yet chic baby line. If budget is an issue, invest in your major pieces and then fill in with inexpensive but still tasteful choices from WalMart, Etsy sites or gently used seconds on Craigslist. 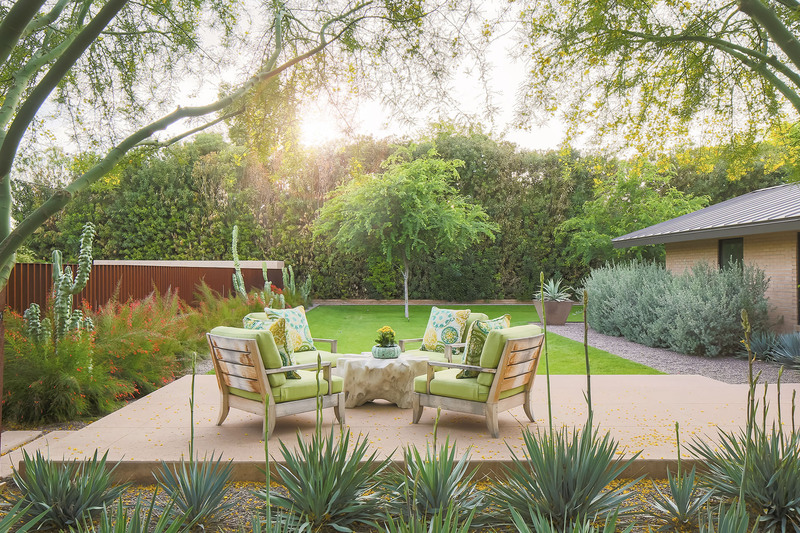 Color trends have edged away from the traditional blue and pink and instead favor more greens, grays and taupes. • Of course safety is always paramount in a nursery. That means reducing chemicals as much as possible (paints, varnishes, bedding, etc. ), placing the crib away from windows, keeping window shade cords away from baby’s reach, and adding plug protectors and a smoke detector. We would be honored to assist in designing your baby’s nursery — or with any of your home’s needs. Please contact us for a complimentary consultation.